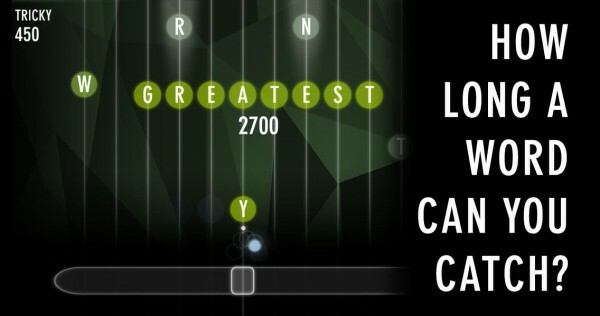 Alphabeats ($1.99) by Rad Dragon is a unique hybrid of word and music game. If you’ve been looking for a word game that plays at a faster pace, or a music game that needs a little brainpower, then Alphabeats is just what you’ve been waiting for. 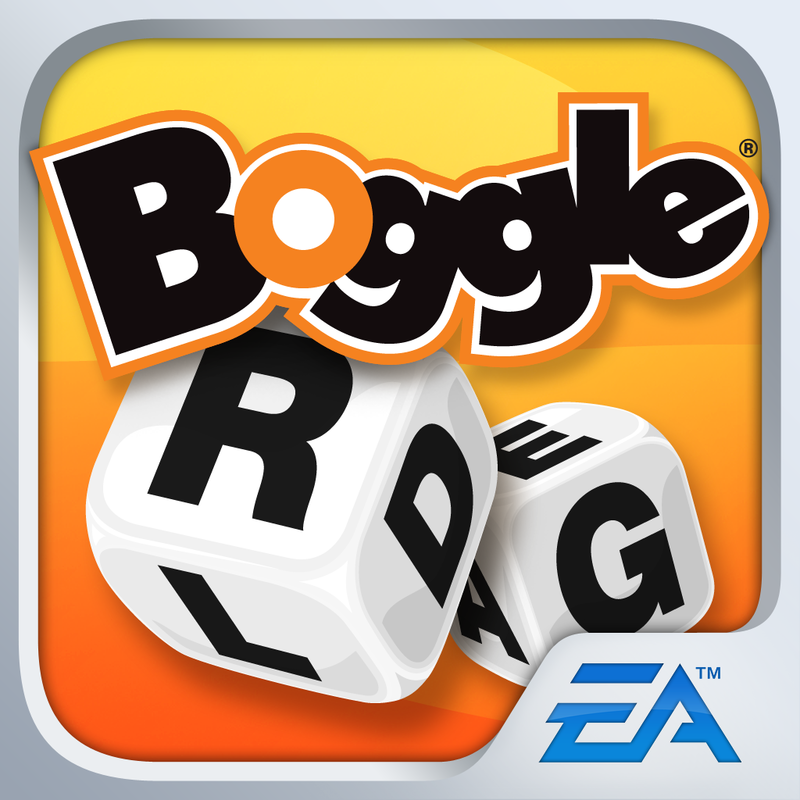 If you’ve been following me for some time, then you will know that I absolutely love word games. But the problem with them is the fact that they can be pretty slow most of the time. 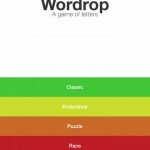 Fortunately, there’s been a change in the trend lately with games like Haste, but what if you just want to play a word game on your own? Sure, you can play something like Scrabble or Boggle, but this can be a bit boring too. When I heard about the upcoming Alphabeats, I was eager to give it a try. 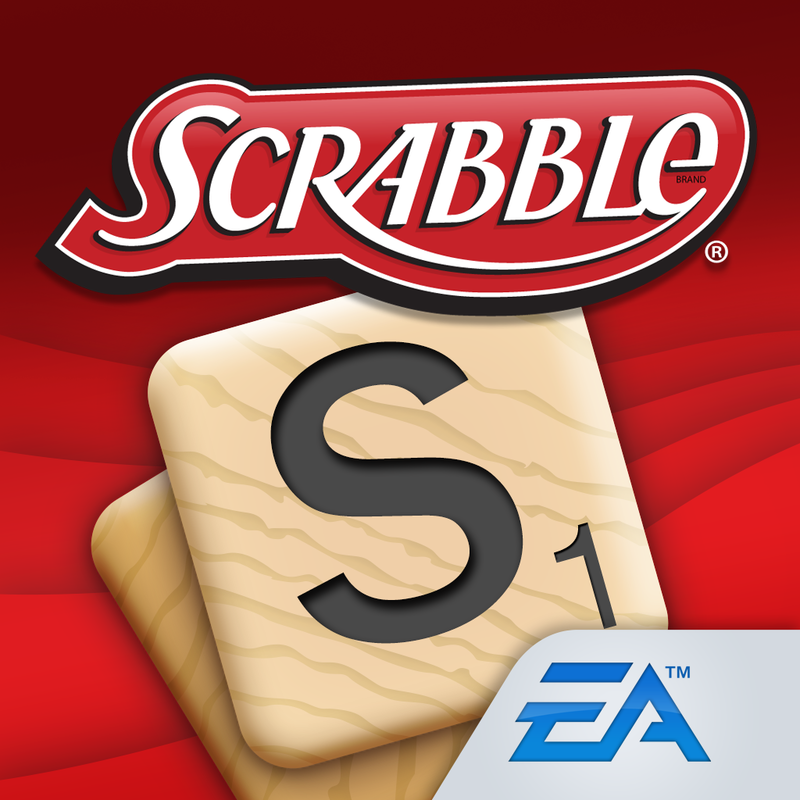 Now that it’s here, it’s definitely one of the most exciting word games yet. 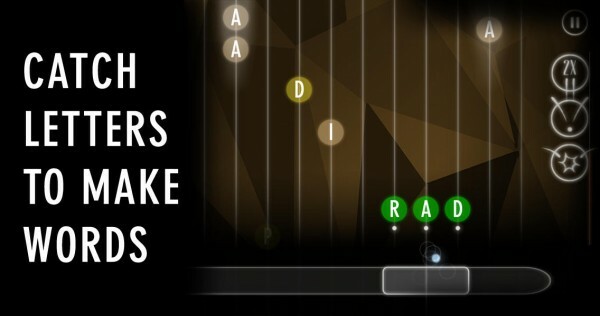 Alphabeats, to me, is like Scrabble mixed in with Guitar Hero and Dance Dance Revolution. 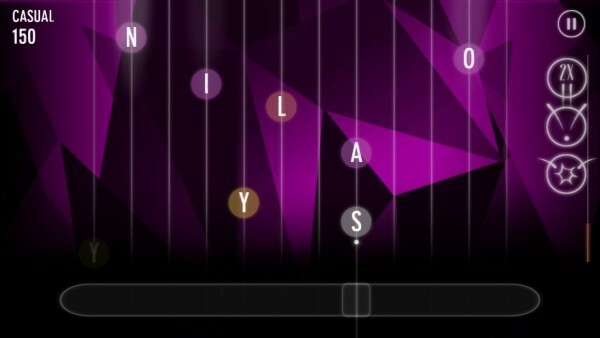 It involves spelling words for points, with a paddle that reminds me of Guitar Hero notes, and the electronic music used is like what you would find in DDR games. It seems like an odd mix, but it works beautifully. 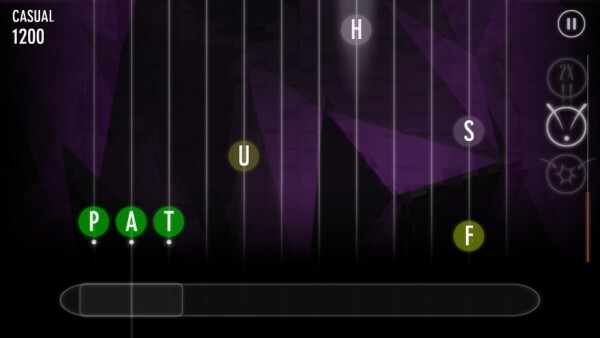 The visuals in Alphabeats may look pretty basic, but it’s far from it. It features a dark interface, while the falling letters and lines stand out against the darkness with their bright, standout colors. The animations are smooth and fluid, and the background changes according to the music, so it’s aesthetically pleasing. Now, the music in this game is pretty amazing. 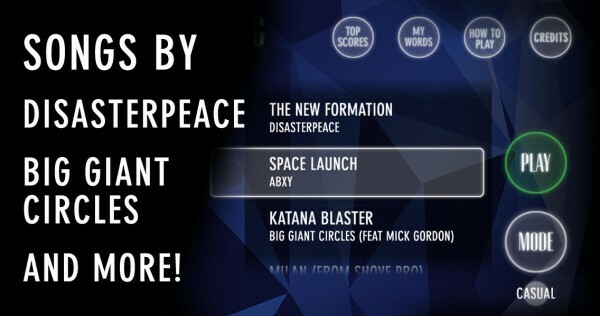 Usually, word games don’t have much in the soundtrack department, but for Alphabeats, music is everything. 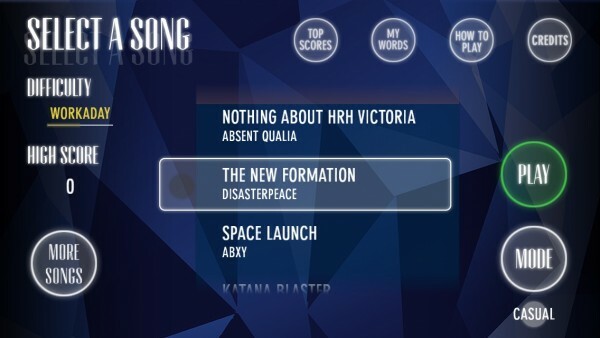 Currently, there are five available tracks with the initial download, but there are many more songs available in the shop. You can buy songs for $0.99 a pop, packs of songs from $1.99 to $2.99 each, or get “everything ever” for $7.99. Personally, I love all of the songs that the game comes with initially, as they all have that atmospheric feel to them. 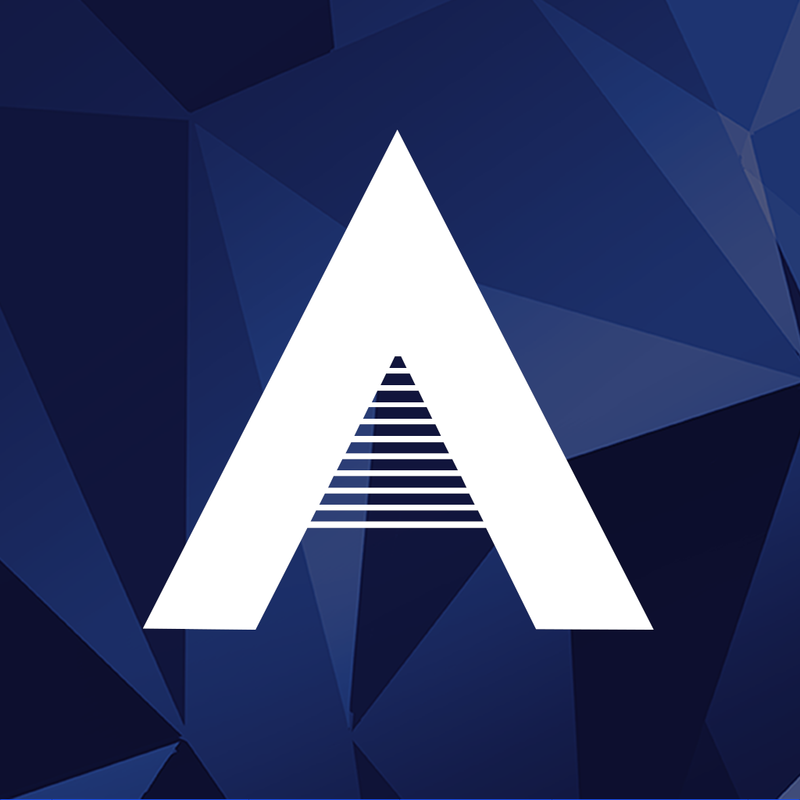 If you’re a fan of electronic, techno, or even dubstep, then you will love the music that is in Alphabeats. 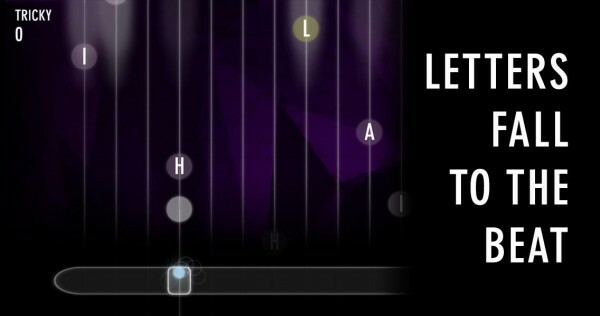 The gameplay in Alphabeats is quite simple, despite the originality, and the game does show you the basics in the beginning with a brief tutorial. Basically, along the bottom will be a paddle, which will be aligned with the lines on the screen where the letters fall from. To spell words, just catch a letter with the paddle, and then collect more letters with the paddle, until you have a word. If the word is legit, the letter circles turn green, and you can just swipe it up to submit. If you catch a letter so that it doesn’t make a word, it turns red and you lose all of those letters, so be careful. The rarer letters that are more difficult to use, along with longer words, are worth more points, of course. There are also three power-ups available for each game that can be activated using multitouch gestures. 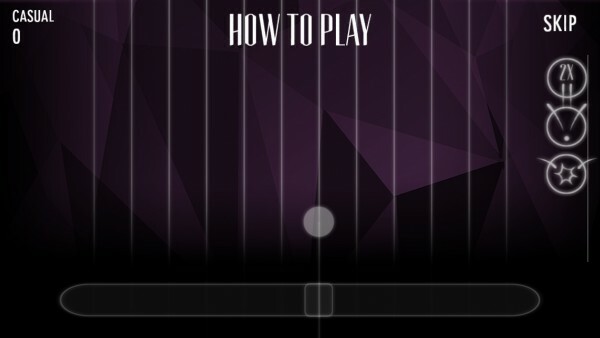 If you swipe with two fingers down, the multiplier item is used. 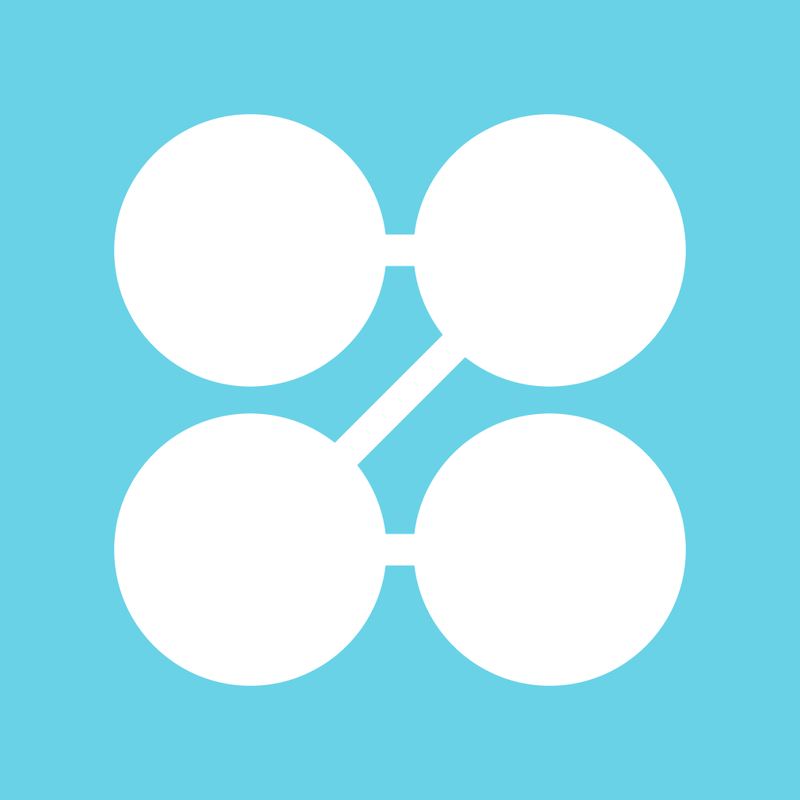 If you pinch inwards with two fingers, you will merge your current letters into a single circle, which means you can create even longer words. If you pinch outwards, you create an explosion that will clear out all letter notes on the screen. These power-ups will always be available for you in each game, but can only be used once, so make sure to use them wisely. 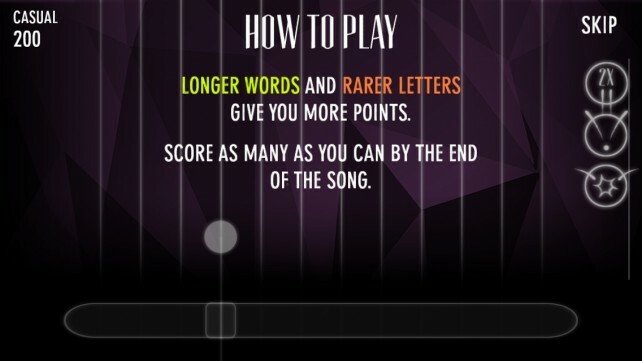 You’ll be spelling words until the end of the song, at which point the game will tally up all of your words for your score, and you also get a grade. You can also see the list of words you spelled out during that game and tap on them for definitions. Whenever you were unsuccessful with a word in the game (catching wrong letters), the game flashes a potential word that you could have spelled with what were your current letters, so you can try again next time. 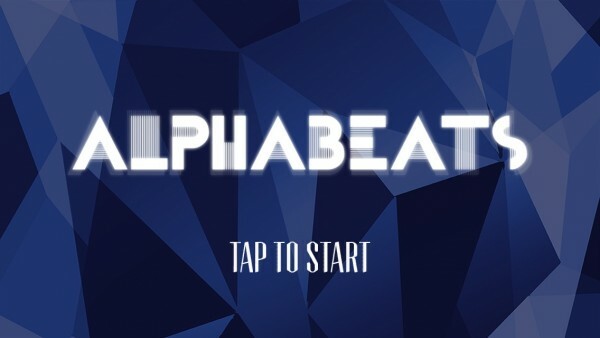 I’m absolutely loving Alphabeats this week, as it’s one of the most exciting and fun word games I’ve played so far. It looks amazing, the music is catchy, and the gameplay is unique, challenging, and incredibly addictive. 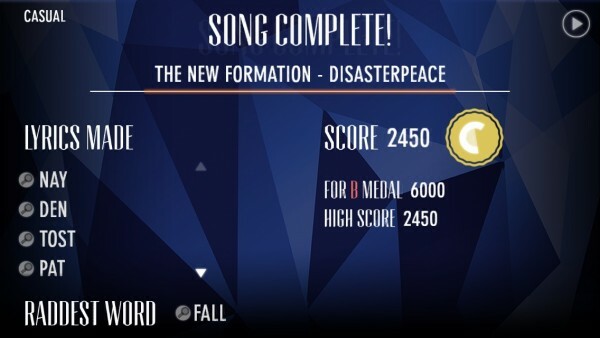 The only thing I would like to see improved are the controls, as there is some definite lag if you are moving your finger quickly, or if you are out of the touch area. 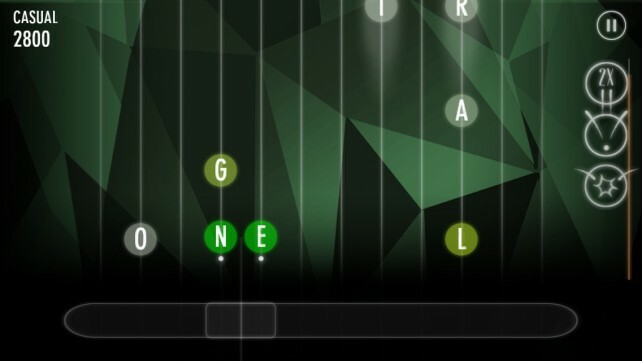 I think it would be better if you could control the paddle from anywhere on the screen, instead of just the bottom area, as it was difficult for me since the game is in landscape mode. Right now, it will take some time to really master the controls — I just want them to be simplified. 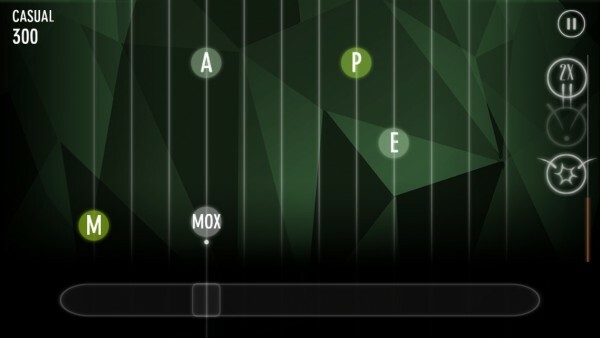 Still, Alphabeats is an incredibly fun and engaging game that will make your brain dance. 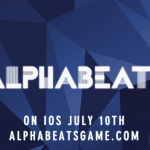 If you are looking for a fresh new word game or music game to check out, then I recommend picking up Alphabeats this week. You can get it on the App Store as a universal download for $1.99.